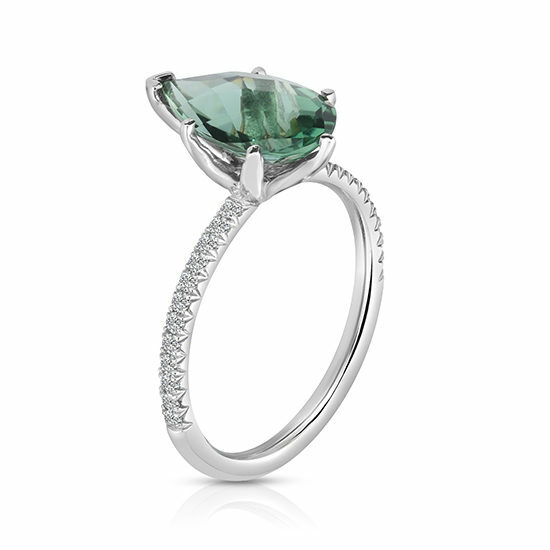 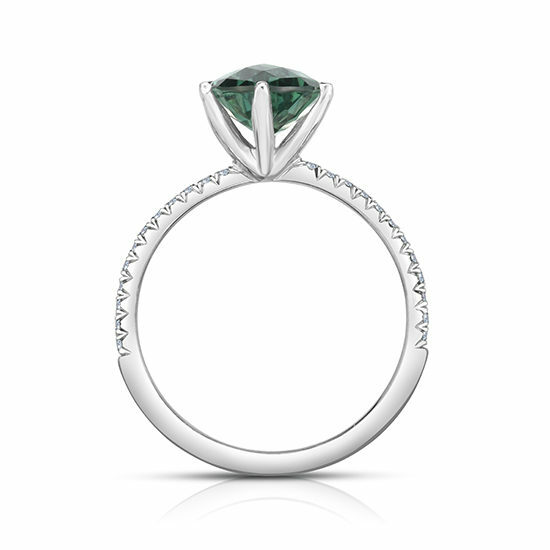 Marisa Perry diamond micro pave ring in platinum featuring a beautiful pear shaped green quartz. 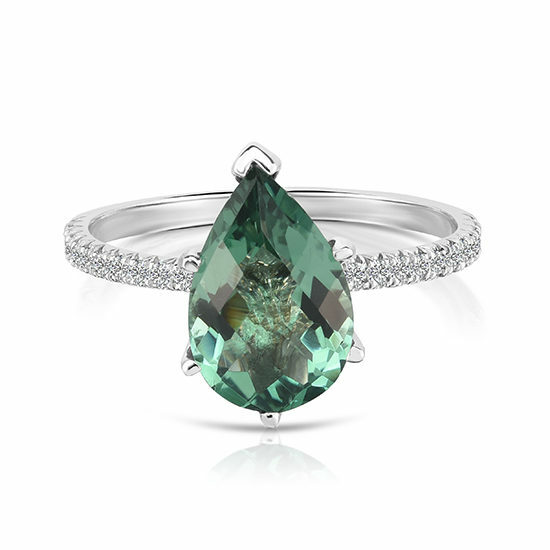 Green quartz is prized for its healing qualities. 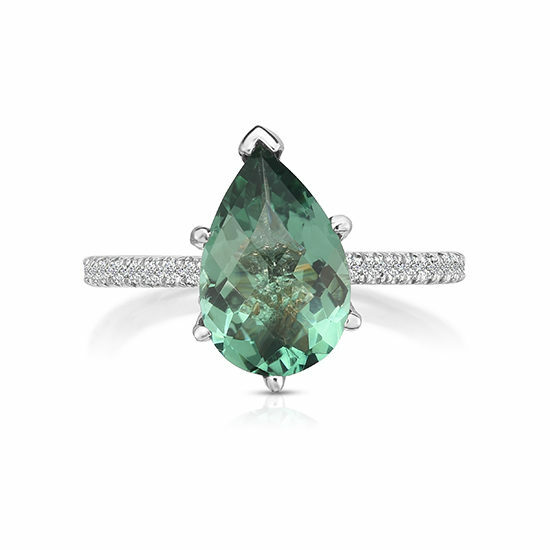 Green Quartz has traditionally been associated with the heart chakra and will support you in matters of the heart as well as heal any heartache.